Education and engagement in the fine arts are an essential part of the school curriculum and an important component in the educational program of every student in Forney ISD. Fine arts education in Forney ISD begins in Kindergarten and continues through the twelfth grade. In each elementary school, students K-6 are taught by certified, degreed music specialists. Beginning in grade 7, at the middle school level, the fine arts courses become elective choices. Students can choose to study courses in visual art, band, theater or choir. In high school, grades 9-12, students may choose courses in band, choir, dance, visual arts and theater. There were approximately 4,783 students in grades K-6 that receive a fine arts class in 2013-2014. All students k-6 attend a music and arts class. In the 2013-2014 school year, 84.8% of all students in grades k-12 chose and were engaged in fine arts education. This fine arts total is approximately 3,341 students out of the 3,941 that attended our secondary campuses in 2013-2014. If you add these up, you will see that 8,124 students were enrolled and participating in fine arts programs in Forney ISD which is over 93.1% of the student population. In 2017-2018, Forney ISD reached over 10,000 students district wide. 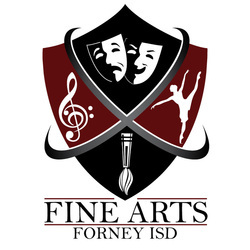 Forney ISD has one of the most advanced fine arts programs in the North Texas area. FISD choirs consistently earn Superior ratings at University Interscholastic League (UIL) competitions and festivals. The district's theater department boasts one of the top programs in the region which has been chosen as finalists at UIL One Act Play competitions at both the Region and Area levels. Dance students are recognized among the finest and most elite in the region and have performed at the Rose Bowl in Pasadena, California, Orange Bowl as well as Disney World in Florida. Visual Arts students are involved in art exhibits and shows throughout the region and many of the students receive regional, state and national recognition through their competitions in Visual Arts Scholastic Events (VASE) . Forney ISD bands consistently earn superior ratings at UIL Marching, Concert, and Sight-Reading contests, have been finalists in the region for State Honor Band and have performed at the State Marching Contest. Several choir students in Forney ISD have been selected to State Choirs. 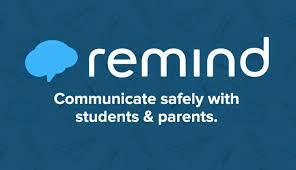 Click HERE to view Forney ISD videos!